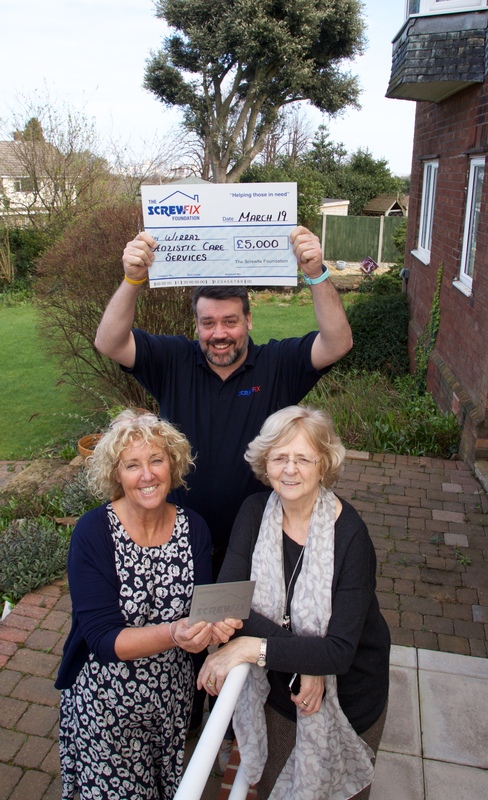 Wirral Holistic Care, based in Claughton, is celebrating after being awarded £5,000 worth of funding from The Screwfix Foundation, a charity which supports projects to fix, repair, maintain and improve properties and facilities for those in need. Beth Venmore (Trustee) at Wirral Holistic Care comments: “We are very grateful to The Screwfix Foundation for donating these much-needed funds to support our charity. Wirral Holistic is a Nurse-led therapeutic cancer charity that supports patients and families after cancer diagnosis. We offer many relaxation therapies; Counselling, Physiotherapy and Acupuncture to name a few. We are a free service and rely on the generosity of companies and the public in general to continue our work. It also works closely with two national charity partners, Barnardo’s children’s charity and Macmillan Cancer Support, as well as supporting smaller, local registered charities like Wirral Holistic Care. Relevant projects from across the Wirral are invited to apply online for a share of the funding at screwfixfoundation.com. Picture Caption; – L-R;- Patsy Hummerston (Head Nurse), Screwfix Birkenhead Store manager Dave Bergin and Charity CEO Dorothy Crowther .